Castle Park in Colchester opened in 1892. However the history of the land dates back 2000 years. The site once formed part of the Roman City of Colonia Victricensis. Here stood the temple of Claudius dedicated to the worship of the Roman Emperor. It was destroyed by Boudica in her rebelion of 60/61 AD and later rebuilt. 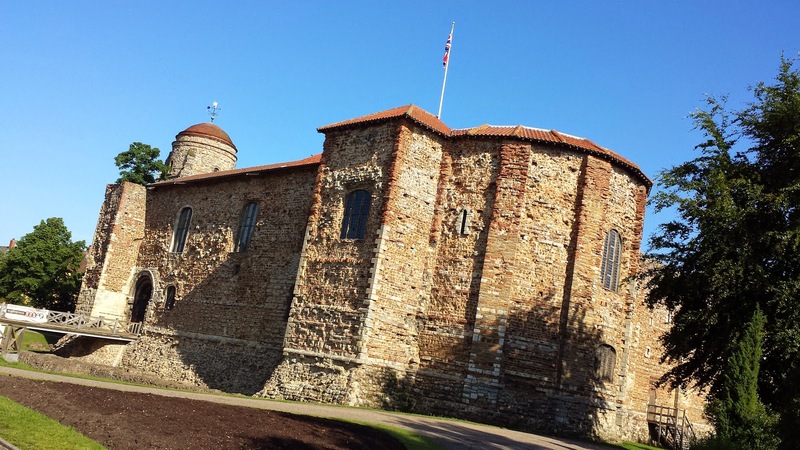 Fast-forward to the present day and you'll find that Castle Park is now home to Colchester Castle parkrun. The Castle grounds are divided into upper and lower parks and are beautifully kept. The upper section contains a couple of playgrounds, a bandstand, the castle and has more of a formal garden feel to it. Whereas the lower section has an open grass area, boating pond and bowls greens. I had planned to follow the car parking instructions on the Colchester Castle parkrun course webpage. However upon arrival at Leisure World, there had been an incident overnight and the usual parking arrangements seemed to have been suspended. So, in short, I parked for free which was fine with me. 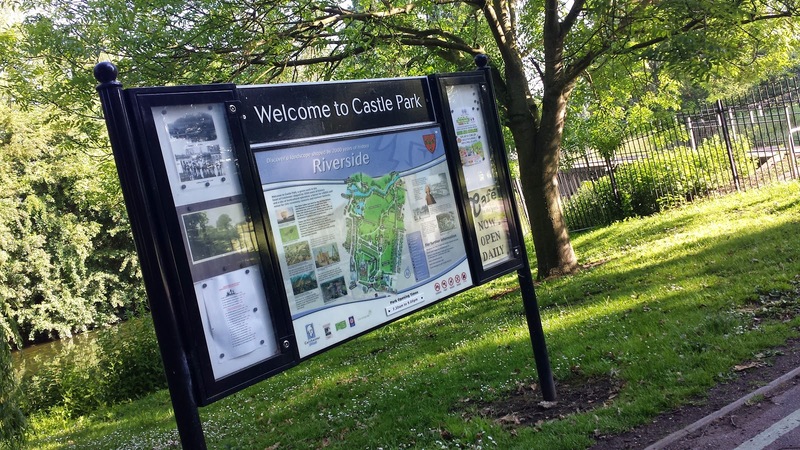 I walked over to the park and discovered that there are some proper cycling racks just outside the gate near the river and also some more outside the main gate near the castle. Most cycling-parkrunners seemed to use the benches around the bandstand to secure their bikes. There are two train stations that are equal distance to the park - Colchester and Colchester Town. Inside the park I found three sets of toilets. One at the cafe, one near the boating lake, and one at the Hollytrees Museum. Sadly they do not officially open until 9am, which is a shame because the park was alive and busy with plenty of other park users well before 9am. In the end, I got lucky when a member of the staff started opening the Hollytrees Museum toilets at about 8.50am. 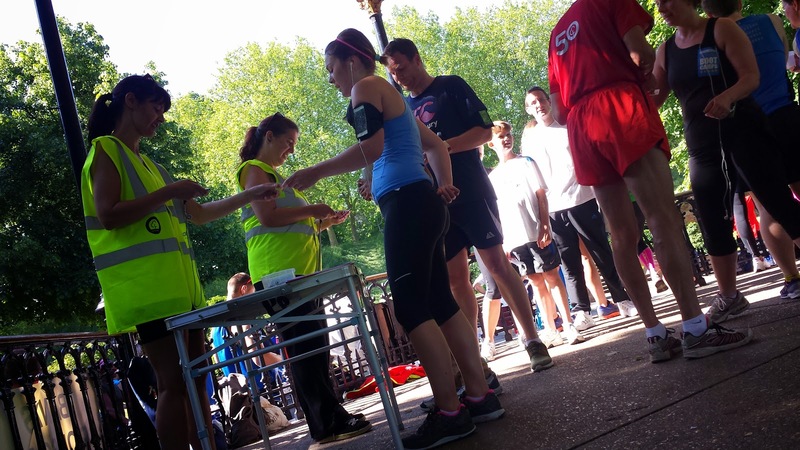 The meeting point for the run is at the bandstand, which is in the Upper Park. This central point also hosts the start and the finish lines. 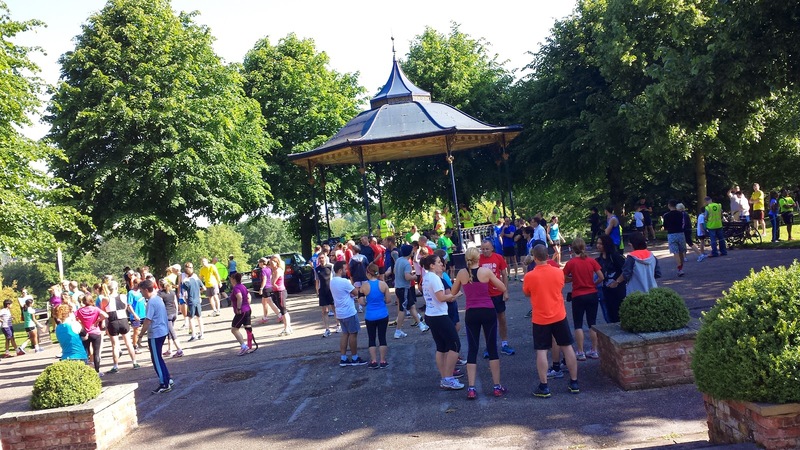 A few minutes before 9am a new runners briefing is held at the bandstand - If you haven't run at this venue before I would advise you to listen carefully to the course description before heading off. It's not complicated once you know it, but in unfamiliar surroundings it would be easy to take a wrong turn. The course is mostly flat but has an incline which is climbed 2.5 times. It is completely on tarmac paths and is suitable for buggy runners. The run starts at 9am on the tree-lined avenue next to the bandstand. Runners first head off in the direction of the cafe before climbing a fairly gentle incline to the top of the upper park and following the footpath around the perimeter of the castle. The castle, built by the Normans, is built on the foundations of the original Roman Temple. It was completed in around 1100 and made use of Roman brick and clay from the old Roman town. It has had many uses over the years including a spell as a prison where suspected witches were held and interegated. It doesn't look quite as it would have back in its day as the original upper parts (possibly three storeys high) were part-demolished about 300 years ago (c.1683) following a Parliament survey that condemned the building, valuing the stone at five pounds. 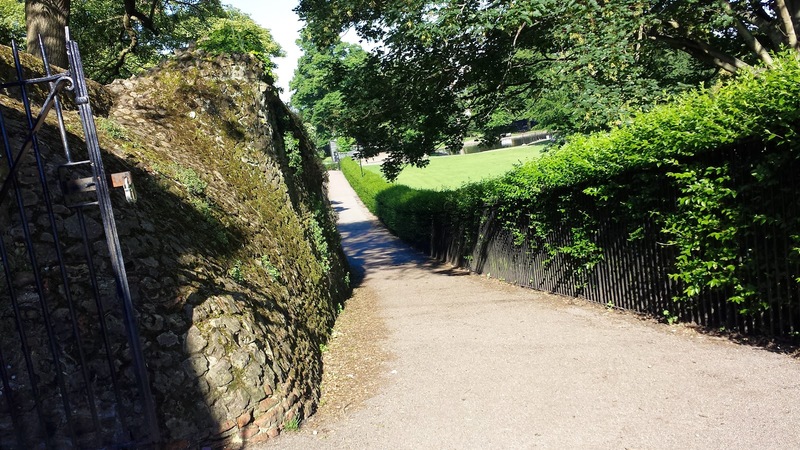 With the castle being the highest point of the park, the next section has the runners heading downhill back through the upper park before taking a hard left and running along next to the old Roman wall. This wall is the oldest surviving town wall in Britain. It was built to defend the town after Boudica's rebellion. At the end of the wall the runners enter the Lower Park and run past a boating lake before joining a meandering pedestrian-cyclist path. The runners continue along this path until passing through the park gate and continuing to follow the river path to run and out-and-back section. 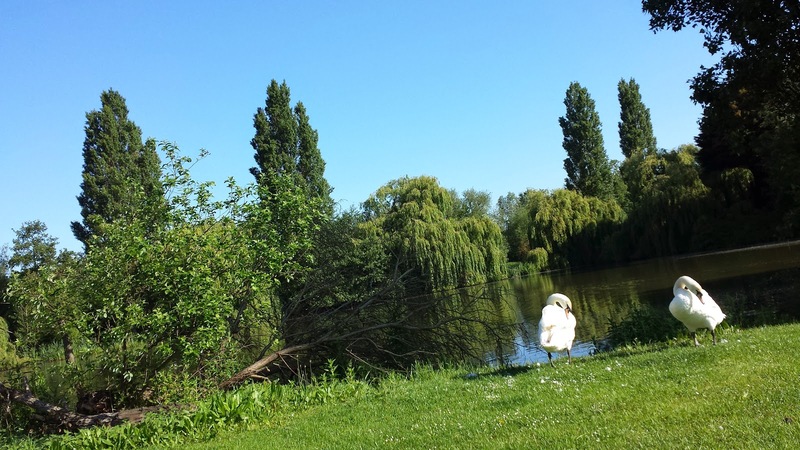 The river is the River Colne and is very pretty - the path continues to meander as it follows the edge of the river and lake. 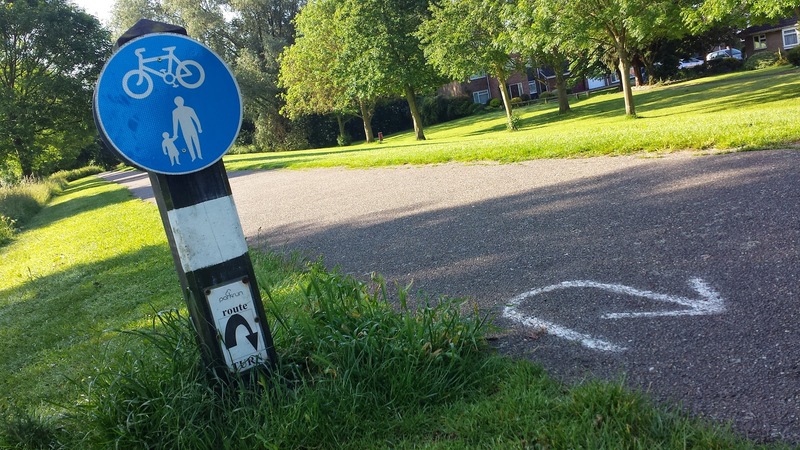 For any runners still able to focus on counting, there are five shared-use people-cycle signs to look out for. At the fifth one it is time to do a u-turn and head back towards the Lower Park. The fifth post is marked with a white band and a sign. There is also a turnaround arrow marked on the floor. If that fails just loop around the friendly marshal, who will be in position at this point. Once the runners arrive back at the Lower Park, they will have about one-and-a-half laps through the upper and lower parks to complete before turning back onto the central tree-lined avenue to reach the finish line. This final section through the park is the toughest part of the run as it involves climbing from the bottom to the top, returning to the bottom, and then climbing it all over again. The inclines aren't crazy-steep but like all inclines, they can bite if you push too hard at the wrong time. 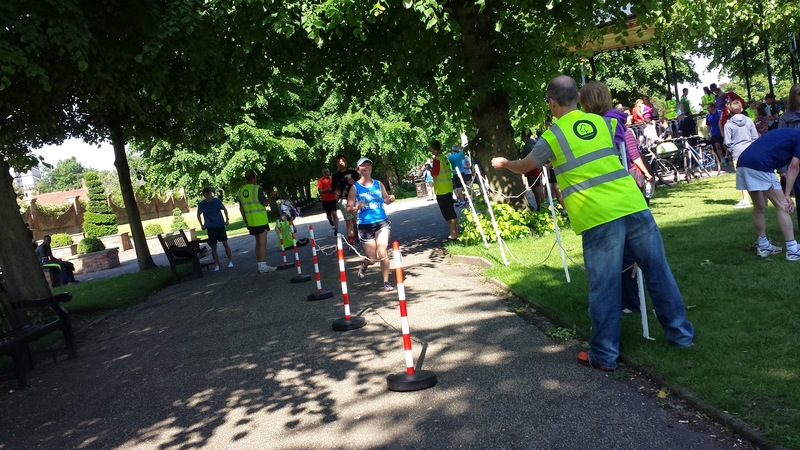 Once through the finish line, and after collapsing onto the grass, the runners just need to head to the bandstand where they will find some more lovely volunteers ready to scan their personal and finishing barcodes. 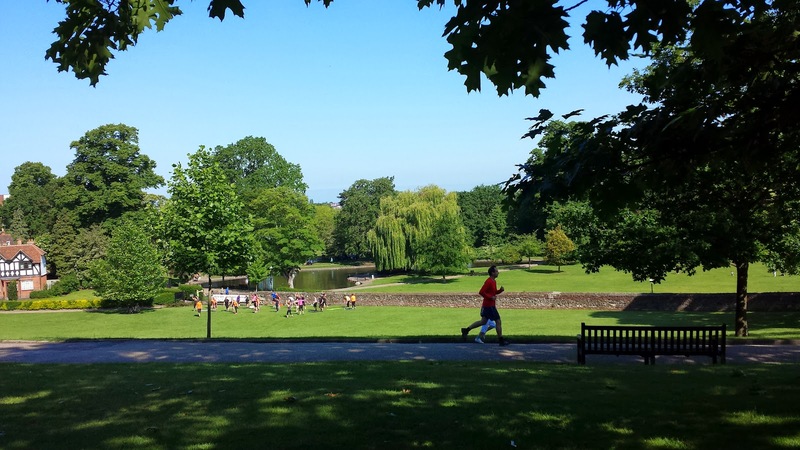 The 'Cafe in the park' is then right next to the finish line, so is perfectly positioned for anyone looking to have some post-run refreshments and a bit of chat about the morning's running. 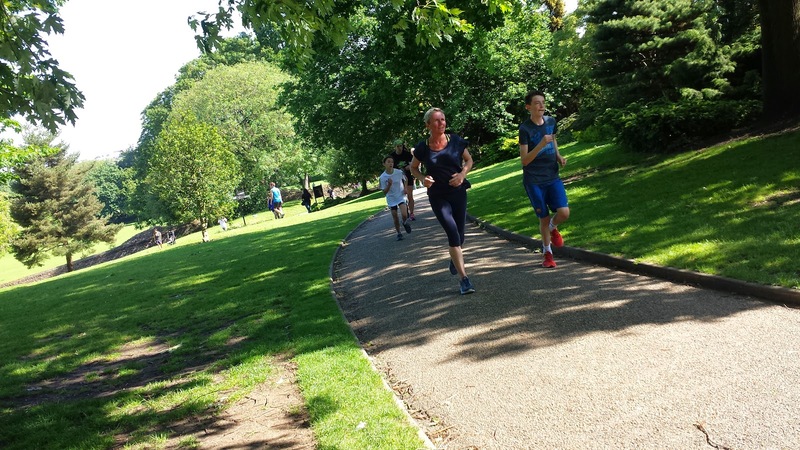 This is another very beautiful parkrun - I ran it on a lovely sunny day so really got to see it at its best and I really enjoyed running the course (even though I was made to run up a hill two-and-a-half times!). It is popular and on the day I visited there were 221 runners. It really is worth visiting this venue. There are also loads of things to do after the run so it's worth hanging around if you're not in a rush to be somewhere else!